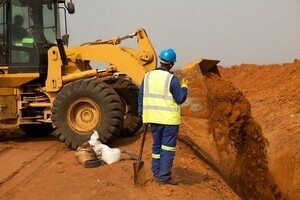 There are a wide variety of factors that cause accidents and injuries on a job site. Every time you get into a machine for a job, you are responsible for any damage you may cause in the process of operating it. Taking the necessary steps to avoid anything that may increase your chances of an accident could save you time and money and could very possibly be a step that may save a life. When used with other trench safety precautions, these methods will contribute a safer excavation site and workplace. One of the main issues that cause accidents at a workplace is equipment blind spots. This problem can be avoided by implementing several different precautions. A blind spot is an area where a person’s view is obstructed. They will differ based on the type of machine you are using. 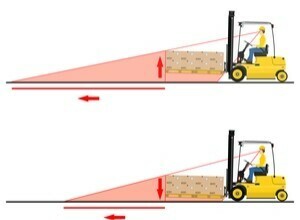 The length and width of your blind spot will vary depending on the type and size of the equipment. For example, an excavator will most likely have more areas of obstructed views than a backhoe. Additionally, pieces of equipment such as a backhoe have the added risk of having a bucket on the front and the back, creating two operating zones. The equipment operator has to be especially careful to avoid hitting things or workers that are in the areas that he cannot see. How can accidents resulting from blind spots be avoided? The use of modern cameras and radars can be extremely effective. 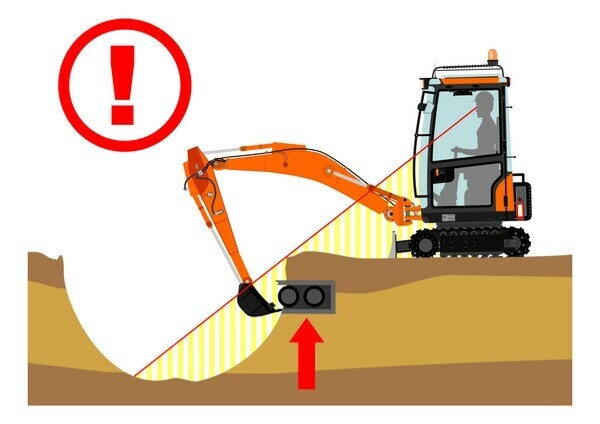 There are numerous types of detection devices that are available to purchase specifically made for construction machinery. These devise to help ensure the safety of you, your workers, and your equipment. 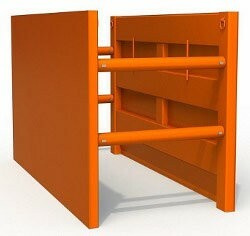 They can be put in multiple places on your machine so that you can be fully aware of your surroundings while you work. If something were to get in your way, the device should alert you. Some radars can be set to different detection zones to more effectively protect from hazards. The device should have an audible, and even a visual alarm when an object comes within one of these detection zones. Depending on the job and the size of the machine, you can also purchase devices with circular radars of varying ranges in diameter. Backup cameras when used with detection zone alarms can be very useful in eliminating accidents while backing up. It is very important to always be in constant communication with your coworkers. A job site is full of constant activity, and hazards are changing throughout the day. There will often be objects around you that you need to avoid that you either cannot see or did not know was there in the first place. A good safety practice is to use a spotter. This person’s job is to assist in minimizing and preventing the chance of an accident or injury by being an extra set of eyes. The spotter uses both verbal commands and non-verbal hand signals to direct to the operator. While verbal communication is very effective, it is not always the most effective for a job site due to the noise of the machine, or the distance between the operator and the spotter. Spotters should be trained to use hand signals to communicate with the machine operator. The use of universal hand signals can improve communication and safety, while increasing production. For the spotter to be even more effective, the use of technology to communicate is highly recommended. Various devices such as a two-way radio or a walkie-talkie system are useful in informing the driver of his surroundings and guiding the operation of the machinery. This type of precautionary safety exercise should be organized and practiced with equipment operators and spotters. Even those with years of experience can benefit from identifying the location and extent of obstructed views. OSHA suggests placing a large piece of equipment in an open area. 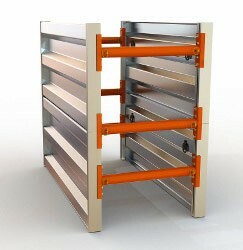 If possible, stage several different pieces of equipment in order to demonstrate to your workers the variation of obstructed view in pieces of machinery. Each worker must take turns sitting in the cab while the others position themselves around the machine, particularly directly in front, on the right side, and in the back of the vehicle. 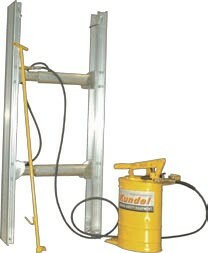 Have them move to various locations around the machine and place a safety cone when they become visible to the driver. The driver should get out and observe the extent of the areas between the safety cone and the machine that he is unable to see. This will help the driver to comprehend and visualize the size and location of the low or no visibility areas. Realizing the length and width of these areas will hopefully make workers more careful and alert when running the machinery. 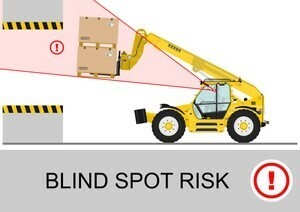 Blind spots are one of the main causes for collisions that damage your equipment and other assets on the job. Consider taking the time to implement these steps into your workplace to lower your chance of being responsible for damage that could have been avoided. Using these steps will help save you time, money, and possibly even a life.